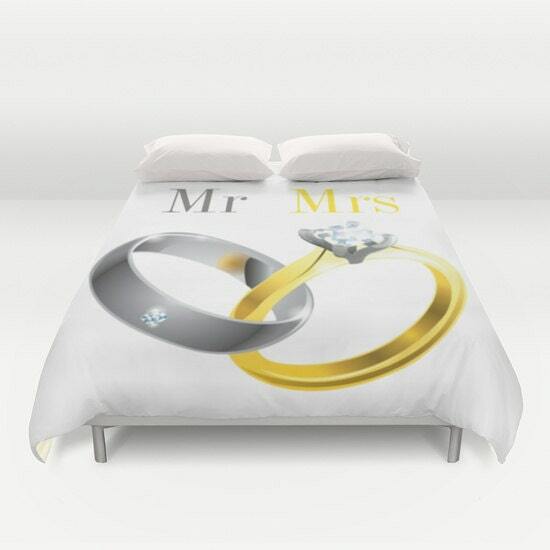 Mr and Mrs Wedding duvet cover for the newlywed couple. This listing is for one duvet cover. If you are sleeping on the other side of the bed, on this listing I have the text and the design on the other side. 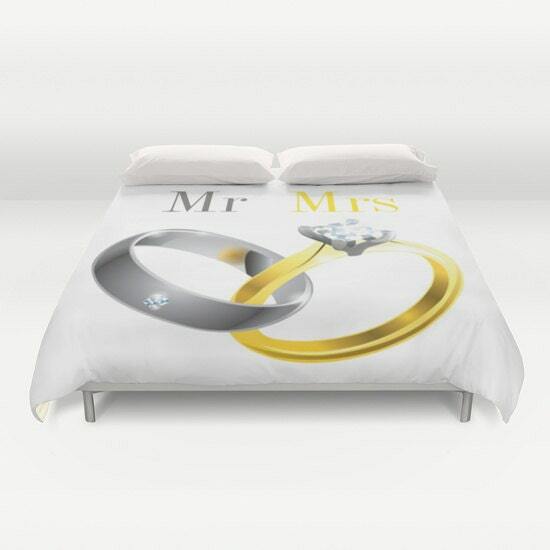 If you would like to have it customized with your names instead of 'Mr and Mrs', please purchase this listing. This design is available as a pillow cover, wall tapestry, shower curtain, t-shirt, wall clock and tote bag.